Those in the position of helping elder family members navigate housing choices face a weighty set of decisions and responsibilities. While every move represents a unique set of circumstances, late-life transitions can pose distinct, and often unexpected, challenges. 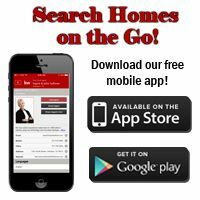 As real estate professionals specializing in the older adult market, Senior Downsizing Experts, Ingrid & John Sullivan, have helped hundreds of mature homeowners, families, and caregivers with the home sale and purchase process – many involving saying goodbye to long-time family residences. In this new seminar, the Sullivans present an overview of the five most common mistakes adult children of aging parents make when assisting with late-life moves and introduce proven solutions for avoiding these mistakes. The goal is to help attendees with the necessary information to proceed with confidence and courage in their role. Create a plan of action for future care needs. Locate suitable senior living options. Find and hire the right support when needed. “Moving Mom & Dad” will be presented at The Chateau on Wildbriar Lake located at 1515 Hard Rock Road in Irving on Saturday, August 29 at 10:00am. To reserve your spot, please call (817) 635-1043 or visit www.seniordownsizingexperts.com. About The Chateau on Wildbriar Lake: A Senior Independent Living Community for age 62 and better, The Chateau on Wildbriar Lake offers a luxurious and peaceful environment and includes features and amenities that allow residents free time to concentrate on what’s important–enjoying life! Strategically located in the heart of the Metroplex, the community is surrounded by shopping and dining opportunities and all the area’s venues of choice are conveniently within reach. 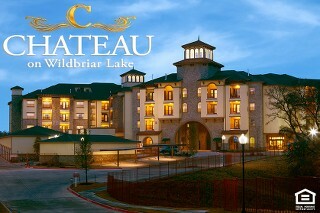 For more information on the community, visit www.chateauonwildbriarlake.com.